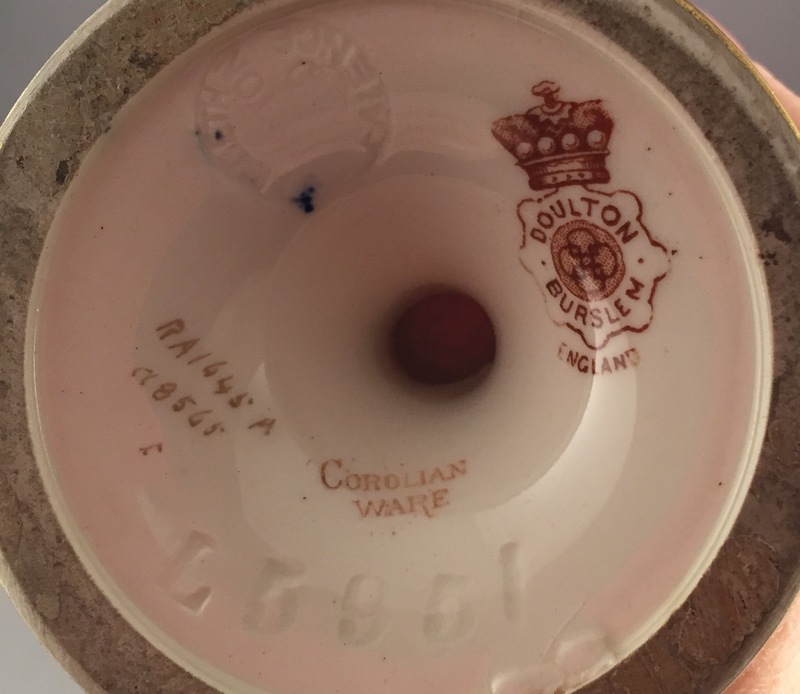 This type of ware was an invention of John Slater and because of the period of production can be found with the Doulton coronet backstamp. No doubt the name is derived from corolla as the images on these pieces are typically floral. The process involved multiple firings of blue and white transfer images which gave them depth and one can usually find one of Robert Allen’s pseudonym signatures on the body of vases: Kelsall and A. Wagg.